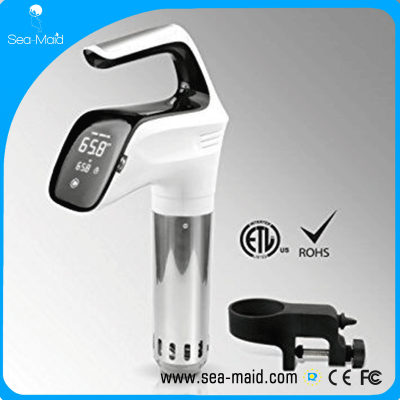 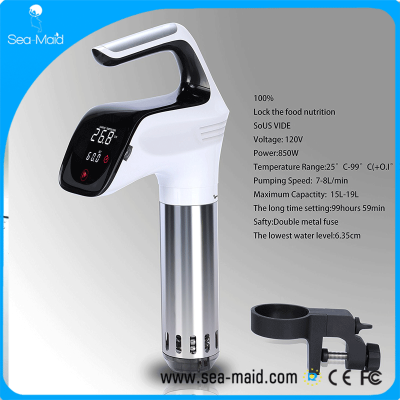 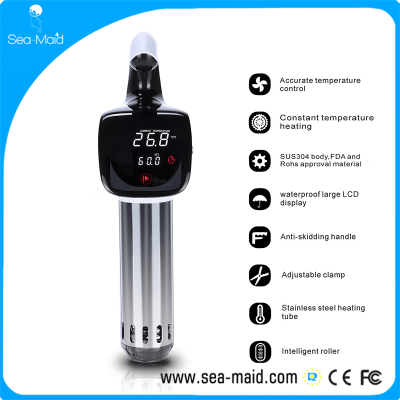 2017 Sea-maid sous vide Circulator immersion cooker with 850W white color - Wholesaler From Co., Ltd. 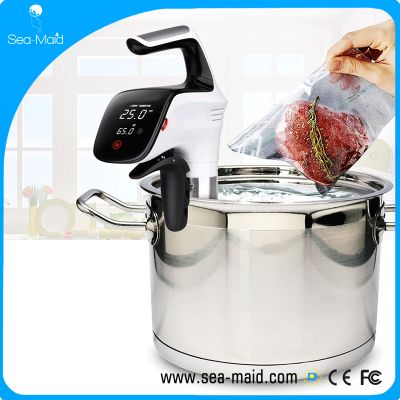 Precision temperature control means incredible results, every time. Simply set the temperature and press start. 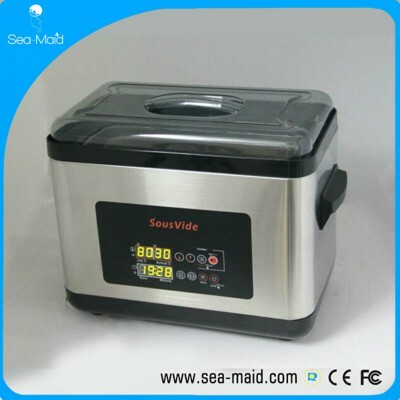 Leave food in the pot and go about your day until you’re ready to eat. 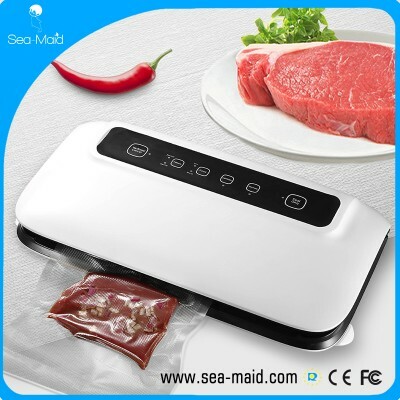 Your food won’t get overcooked. 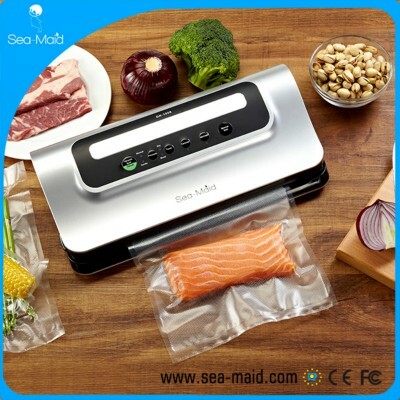 Unlike any other method of cooking, food is cooked exactly how you like it from edge-to-edge with no guesswork. 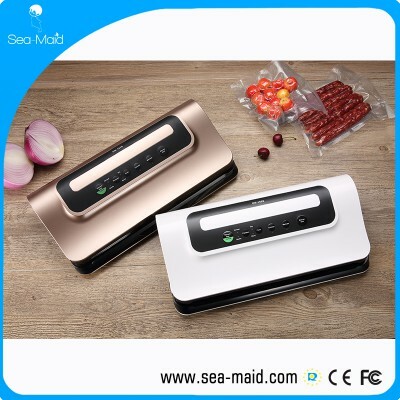 Restaurant Quality Food Perfectly tender dishes once only achievable by chefs in top restaurants can now be replicated at home. 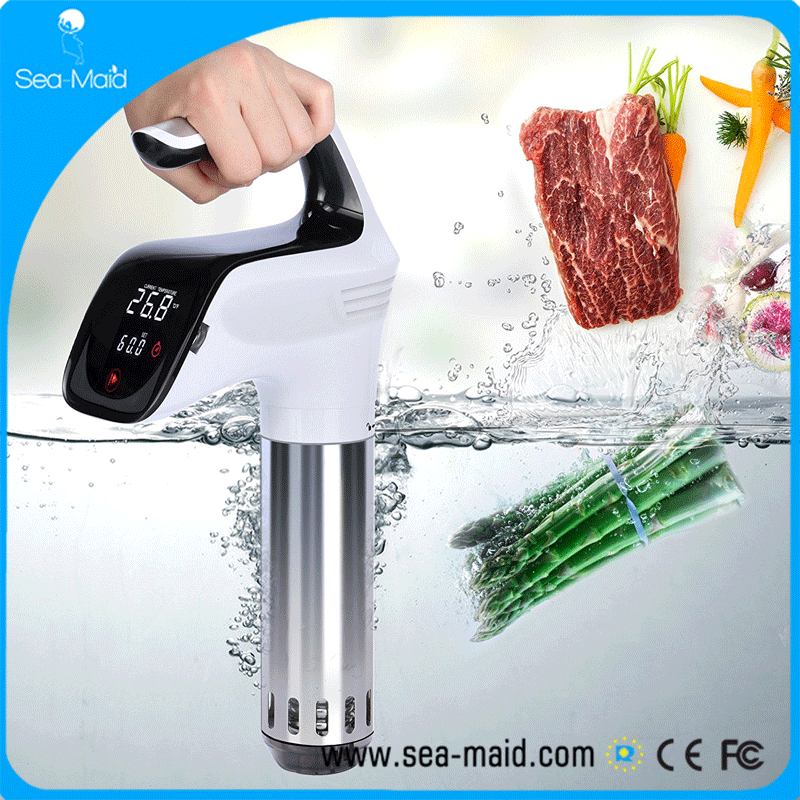 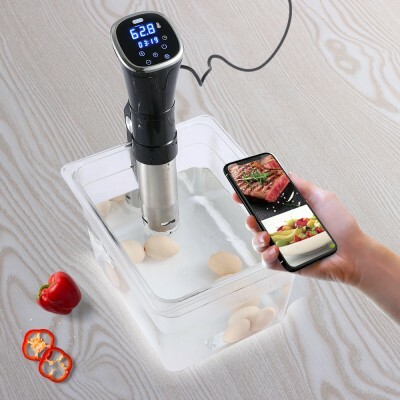 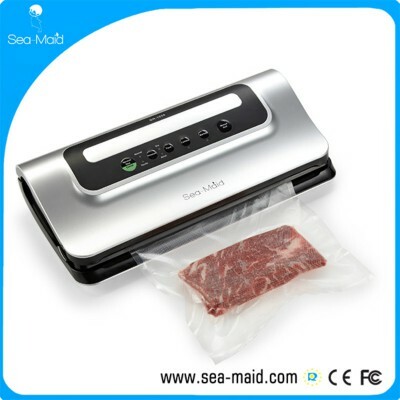 with Sea-maid Sous Vide , you can cook wide variety of food , all types of seafood as well as all types of meat , from chicken to duck to fish and so on . 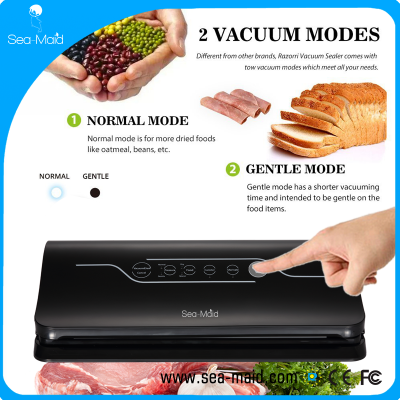 Control Panel Is Easy to Use Touchscreen control . 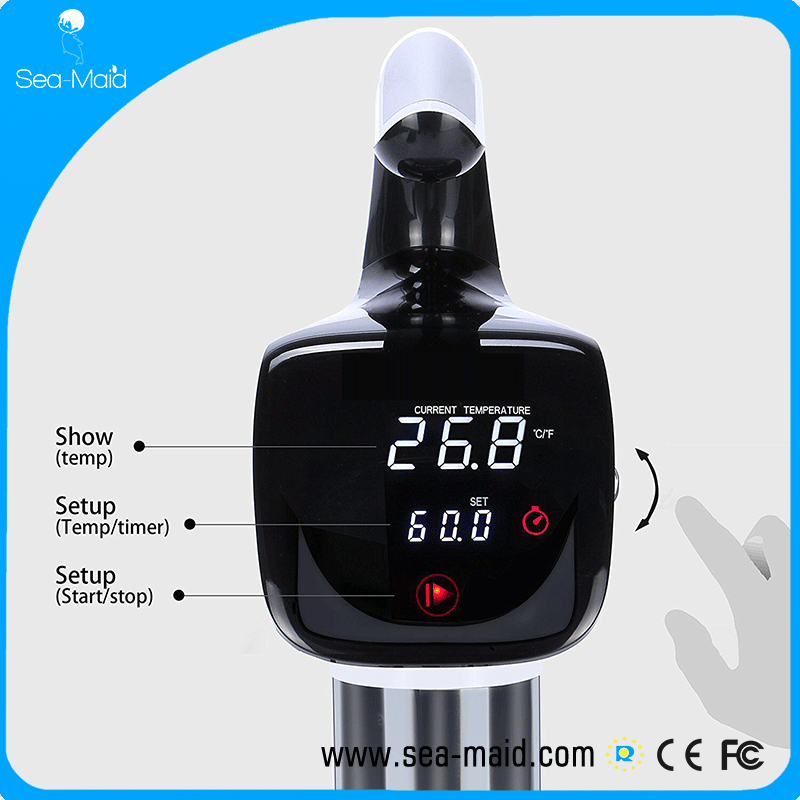 Large control pannel shows temperature, working time, and power indication. Humanized design prevents control panel from mist . 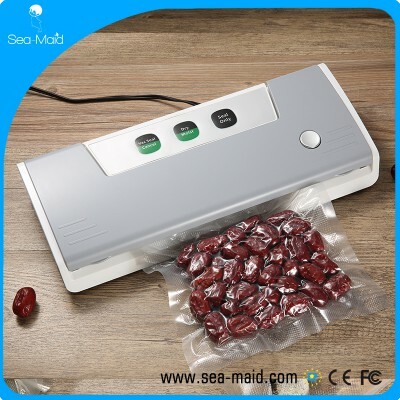 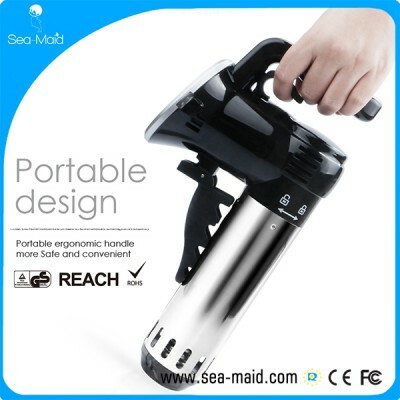 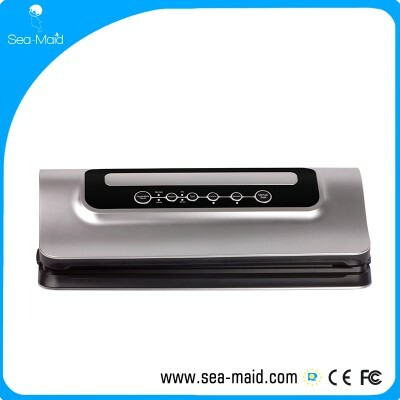 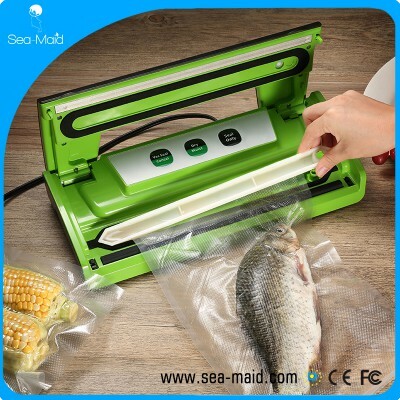 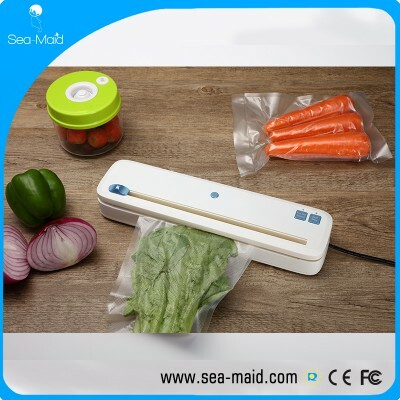 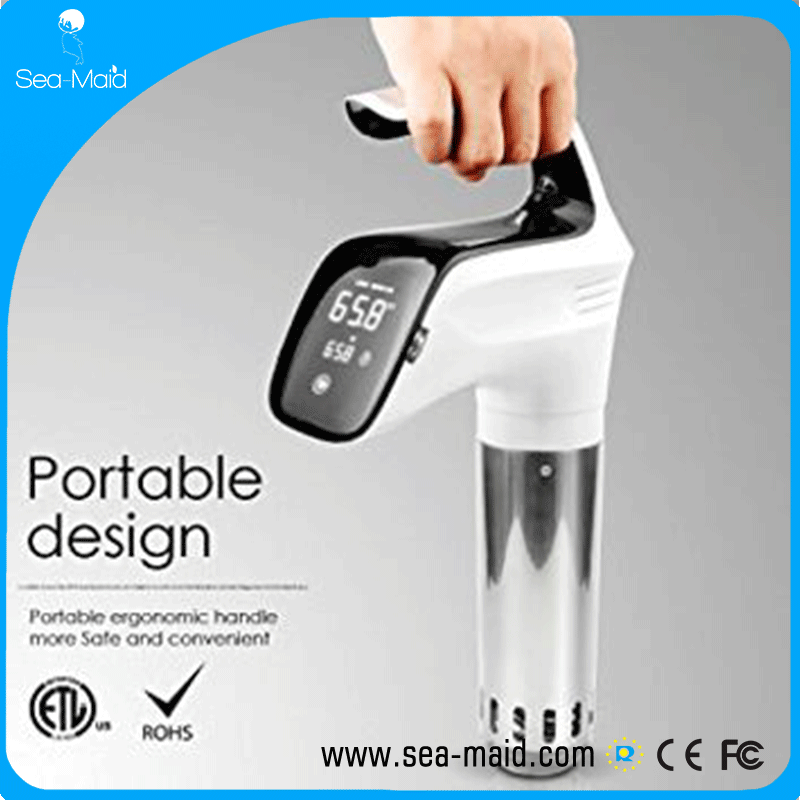 Ready To Cook Steps: To use the Sea-maid Precision Cooker, you simply attach it to a pot, put your food in a seal-able bag and set the time and temperature. 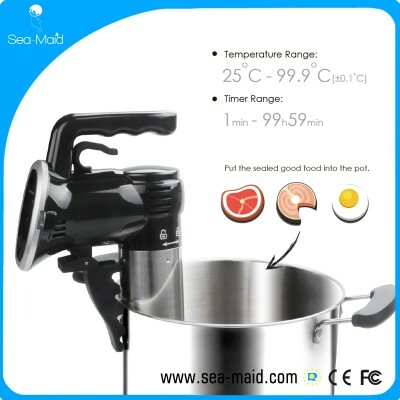 The Precision Cooker circulates water around the pot while ensuring a consistent temperature throughout.